The YuKanRun.com Fool’s Dual Race Series is a totally unique race concept. Jump into Spring with this foolish series that includes two challenging races that push runners to test your own limits. Come enjoy beautiful ocean views as you run along the scenic coastline on Cape Ann and race towards our huge finish line arch! Racers are sure to meet new friends as well as fierce competitors along the way. 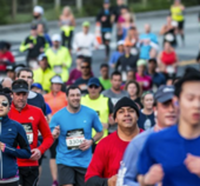 Finish the 5K, grab some water and return to the starting line for the half marathon! Compete in the Fool's Dual to qualify for coveted prizes that will be the envy of friends and are sure to earn bragging rights in the running community.